Television in Egypt is mainly transmitted by means of free satellite whereas terrestrial covers 41% of the total viewers. The people of Egypt spend a considerable amount of time watching television, with 40% of people watching television up to 4 hours per day. The state run channels have held a monopoly on terrestrial broadcast since Egypt began its first broadcasts in the year 1960. Private satellite channels are strictly monitored by the Ministry of Information. The Egyptian Radio and Television Union is a government entity that owns all the 17 terrestrial channels. Channel 1 and Channel 2 are the main channels that broadcast throughout the country. The state owned Nile TV is the major foreign language channel that focuses on promoting the state point of view and tourism in Egypt. 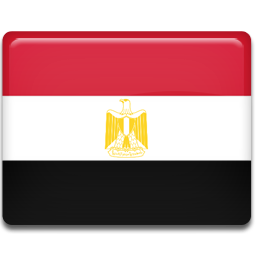 There are a total of 6 regional terrestrial channels that were used to broadcast to Greater Cairo, but by 2007, only Greater Cairo channel (also known as Channel 3) among the regional channels is broadcasted to Greater Cairo. Since 2007, most of the terrestrial channels were satellite channels owned by ERTY but simulcasted to Greater Cairo. The 23 channels owned by the state are reported to have a small viewership as of 2012. Nile TV International is a state owned television channel in Egypt. It is the second satellite television news network in the country and the first Arab satellite channel to show its programs in foreign languages including French, Hebrew and English. The stream live TV is also encouraged across the country. The channel is broadcast at four satellites and its transmission reaches the entire Arab World, Europe, Middle East and United States. It is also shown as a terrestrial channel on ultra high frequency. Nile TV International became the part of News Center of the Egyptian Radio and Television Union (ERTU) formally, led by Abd Ellatif El Menawy.